Two styles were fitted, both based on a U channel: one 3″ wide, the other 2.5″ wide. 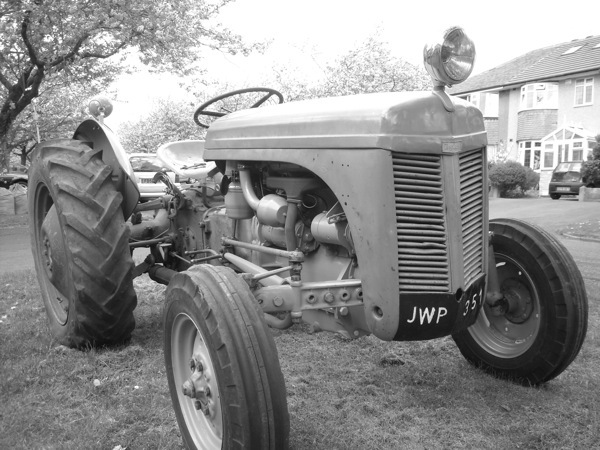 The 2.5″ wide version is based on the item fitted to the 30 Cwt trailer and is fixed to the chassis by way of two slightly splayed ‘legs’, formed from the sides of the channel. The 3″ wide version is of heavier construction, being based on 3″ by 1.5″ rolled steel channel, and has a plate welded to the bottom which bolts onto the chassis. 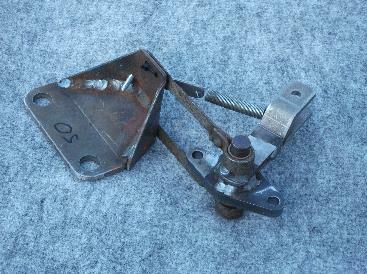 Both types have a supporting bracket provided as well as the ‘Z’ brackets at the top. Supplied unwelded at the bottom end so that you can fit it to your trailer then weld it up. The fitment of these two items seems to have been almost on a random basis (unless you know better) so have a look at what remains on your trailer to ascertain whether that gives you any clues. 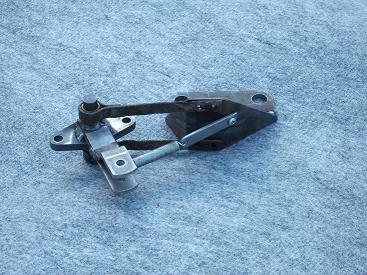 A 3 ton trailer brake compensator (‘Christmas Tree’) complete with mounting. £55. 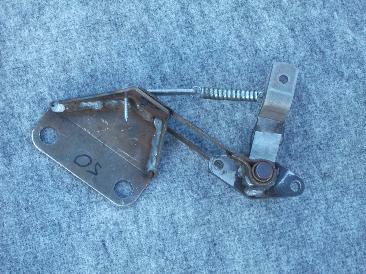 Brake Shoe Expander (Aluminium body only). 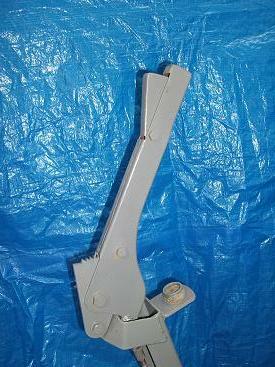 3 ton trailer mechanical brake expander body. This replaces the original housing which is likely to be crumbling and corroded. The original steel parts should be saved and cleaned up, then fitted to the new body. 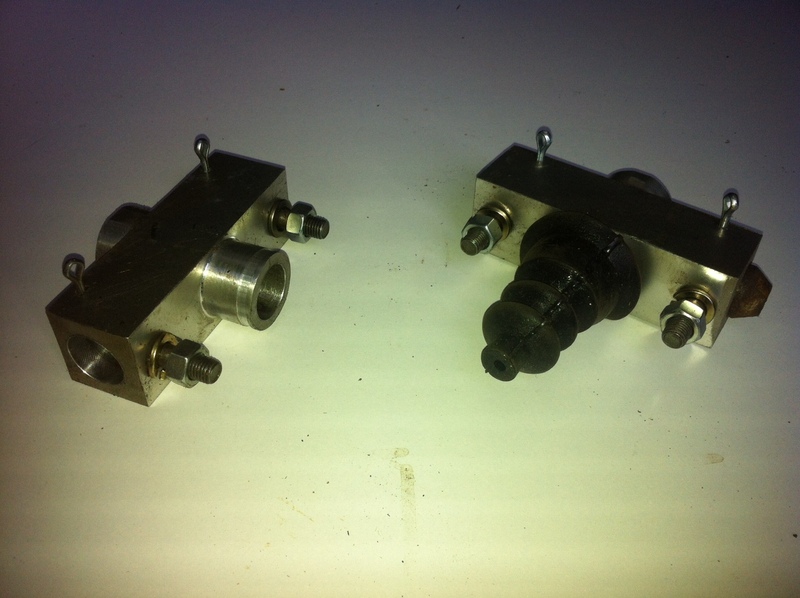 Picture shows one new body, as supplied, and one reassembled unit ready to fit. 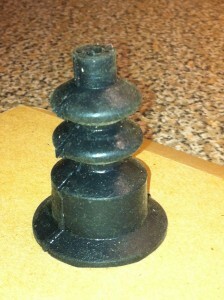 3 ton brake expander body, without internal parts, £60 each. Available individually or as a complete set. Complete set price £75 with clevis’ fitted as required. Note, rods and clevis’ are threaded 5/16 UNF as per the originals. These fit on the brake back plate to keep out water and dirt.